Head to Sri Varalakshmi Silk And Sarees to shop for everything from daily wear sarees to cute ethnic outfits for the little ones in your life, starting from INR 200. There's budget shopping, and then there's super budget shopping. If you're curious about the latter or if it's just that time of the month where you want to shop but can't dole out too much money, take a walk down B.V.K. Iyengar road and check out the row of shops along the left - that's exactly where we chanced upon Sri Varalakshmi Silk And Sarees! Right outside the store, we were greeted by a couple of hawkers who talked us into at least checking out their collection, if not actually buying anything. 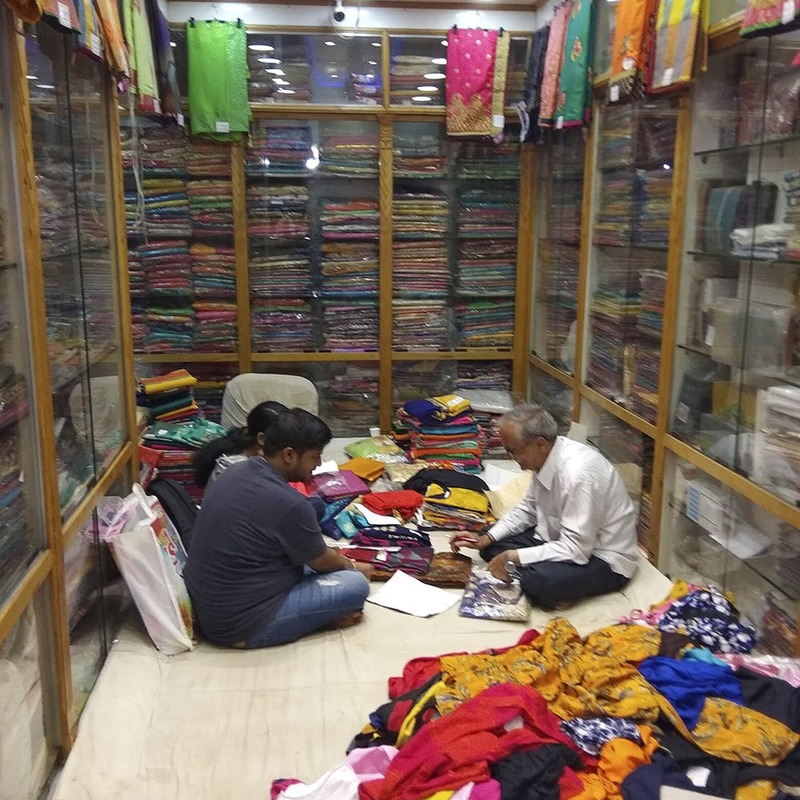 Curious, we walked into the top floor of the two-storey building to find a small space selling daily wear cotton and nylon sarees starting from INR 200 to fancier, Bangalore silk sarees priced at INR 4,000. They even have a small selection of readymade kurtas, starting from INR 300 upwards. On the bottom floor, you'll find a shop dedicated entirely to kids wear. Whether it's a full-sleeved checkered three-piece suit for your dapper nephew or a lehenga choli (with dupatta) for your adorable niece, you'll find plenty of options to shop from, for the next big occasion. And while the suits, ghagras and gowns are a bit on the higher range (starting from INR 800 onwards), you'll find cotton shirts and frocks in pretty pastel colours, starting from INR 200. Forget about getting parking space here! The area is super congested, so we suggest taking a rickshaw to this place.